FOR SALE: Garden Centre with Restaurant/Coffee Shop and 4 Bedroom Detached House in Cornwall. Freehold circa 3.4 acres (1.38 hectares). 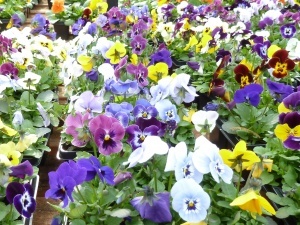 Lo..
FOR SALE: Retail Plant Nursery with 4 Bedroom Detached House in Lancashire. Freehold circa 1.3 acres (0.526 hectares). Located close to tw..
FOR SALE: Plant/Garden Centre with two on-site Flats (One Two and One Three Bedroom) for Sale in Lincolnshire. Freehold circa 9.3 acres (3.77 hectares). North East England; Freehold circa 2.76 acres (1.11 hectares) long established Garden Centre with Café For Sale.Busy ‘A’ road location.Buildings consist of glasshous..
Freehold circa 3.5 acres (1.41 hectares) long established, modern, highly profitable high turnover garden centre with coffee shop. ‘A’ road location. Excellent portal framed sales buildings. Comprehe..
Scotland (Ayrshire); Freehold circa 21 acre (8.49 hectare) Retail and Wholesale Nursery with Detached 3 Bedroom Residential Property and Land For Sale. Long established family owned lifestyle business located close..
TO LEASE: circa 3.8 acre (1.54 hectare) of nursery land located on the Shropshire/Cheshire border, upon which is sited circa 0.33 acre (0.13 hectare) of superior modern glasshouse supplied by ‘KG Greenhouses’ the renowned Dutch..
Freehold; circa. 1.36 acre (0.55 hectare) Garden Centre with Licensed Restaurant. First time on the market in over 25 years. Located close to an ‘A’ road on the outskirts of a popular Somerset coastal town. FOR SALE: Plant Centre with Coffee Shop in Suffolk. Freehold circa 7 acres (2.83 hectares).Same family ownership for the past 23 years. Retirement Sale..